Freedom Connector Kit Works with SunCATcher enclosures and others! PetSafe 4-Way Big White Locking Cat Flap The cat flap for larger cats, up to 25 pounds! 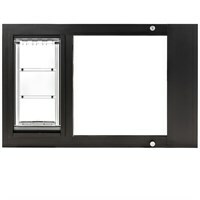 PetSafe 4-Way Interior Cat Flap For use on interior doors. Four access settings! PetSafe 4-Way Locking Cat Door With Tunnel This cat door fits into doors up to 2" thick! PetSafe Extreme Weather Pet Door Keeps out the weather! PetSafe Freedom Aluminum Pet Door Comes in four sizes! PetSafe Magnetic 4-Way Locking Cat Flap Keeps feral cats and wildlife out! PetSafe Passport SmartDoor A good choice for the larger cat breeds; allows up to 5 keys! PetSafe Pet Door Installation Kit Saves you a trip to the hardware store! PetSafe Screen Cat Door For either metal or plastic screen doors, and cats up to 30 pounds! Replacement Flap For PetSafe Freedom Door Replace those worn-out flaps today! Replacement Key Collar for Staywell Cat Door Kitty lose his key? No problem! Sometimes Old Maid Cat Lady makes products available to you through affiliated retailers. Clicking on one of the ads shown below will take you away from Old Maid Cat Lady and over to that store to shop. Affiliates pay us a small percentage of your purchase there for referring you. Be aware that Old Maid Cat Lady gift and discount codes do not work on other retailers' sites. Nor does any percentage of your purchase there go to our Cat Champions. If you decide to visit any of our affiliates, we hope you return soon to Old Maid Cat Lady! Click on the image above for details on features, additional sizes, colors, and pricing. 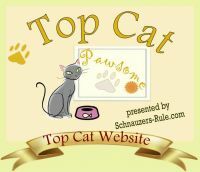 Need more Cat Potty Time products?